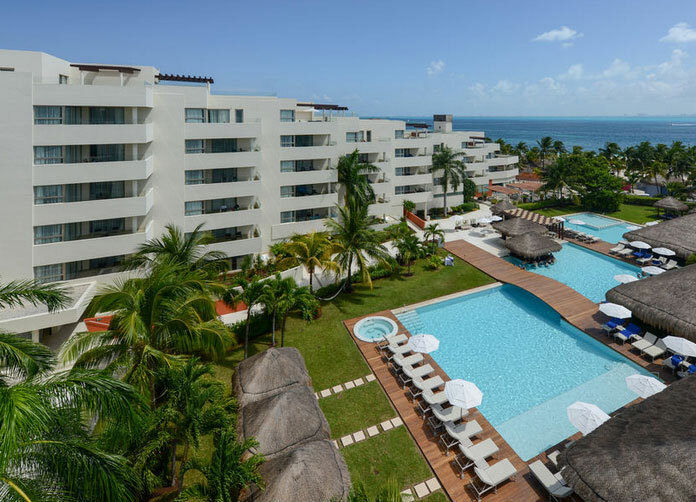 Blending the 4 elements of light stone, wood and water to conjure up this Isla Mujeres resort. 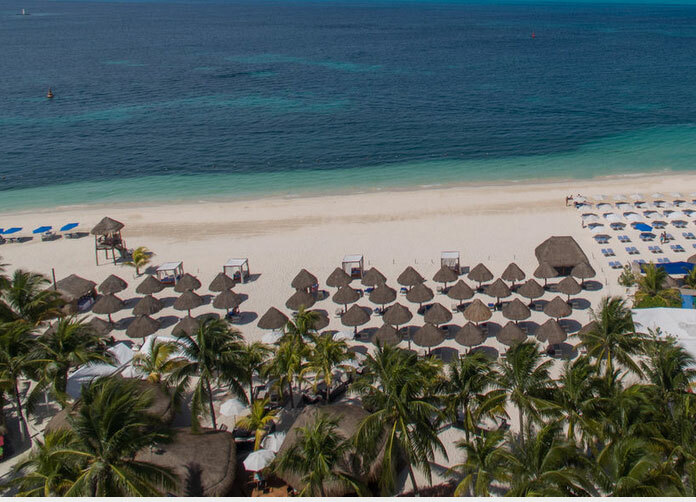 Located right on the islands best beach, Playa Norte this magnificent All Inclusive resort is sure to exceed your expectations. 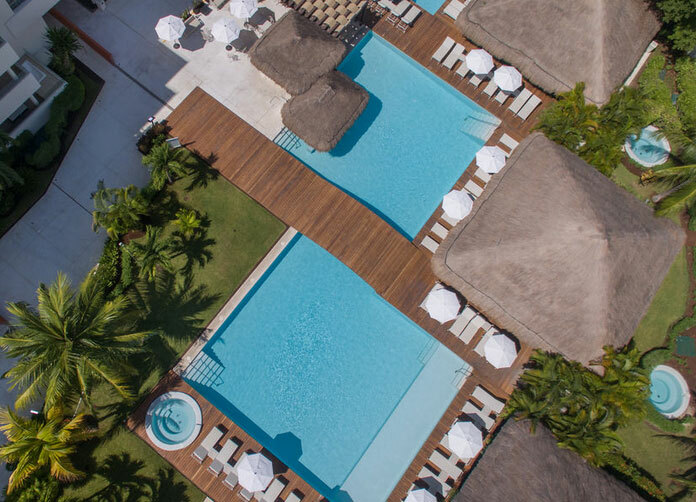 With three swimming pools, brand new gym, friendly staff and gourmet restaurants you are going to wish you could stay at Privilege Aluxes forever. 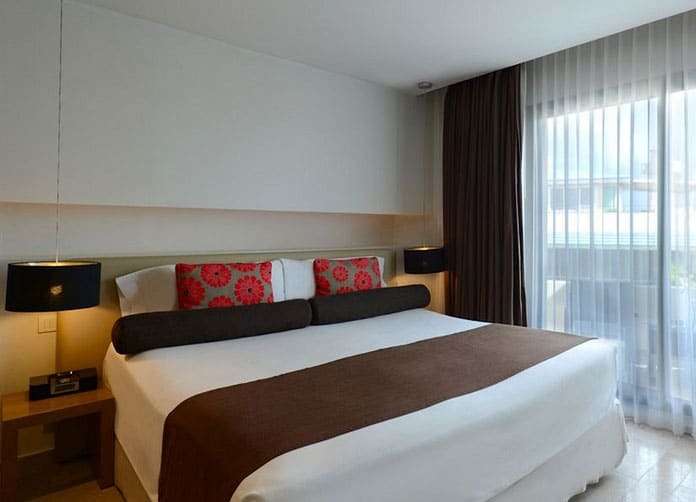 Standard rooms feature deluxe facilities with modern contemporary decor and a balcony overlooking the hotel terrace and pool area and sleep up to 2 in a king size bed. Superior rooms are as standard except have ocean view. Deluxe ocean view suites offers excellent views of the beach as well as living area and kitchenette and have either 1 king or 2 double beds to sleep up to 3 adults and 1 child. 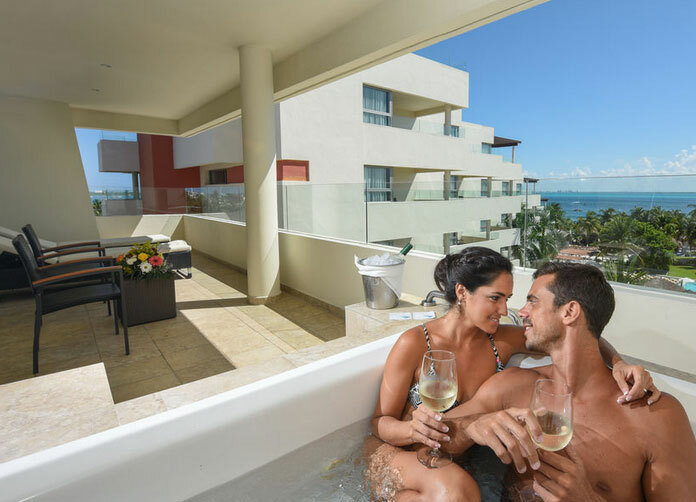 Premium Ocean View suites are on the top floor of the hotel with an amazing view of the Caribbean ocean and a jacuzzi on your secluded terrace. All rooms are air conditioned with ceiling fan and provided with iron and ironing board, satellite TV with modern flat panel TV’s a mini bar and safety deposit box satellite TV. Slippers and bathrobes are complimentary. The hotel has a fitness center, spa, sauna and steam room as well as its fantastic 3 pools and is wheelchair accessible. Wedding and meeting room facilities are available too. There is a kids club and babysitters, a doctor and concierge service are available if required. The All Inclusive option includes all your food and drinks both alcoholic and non alcoholic. Also included are recreational activities such as football yoga volleyball and fun games organized by the hotel Entertainments staff. 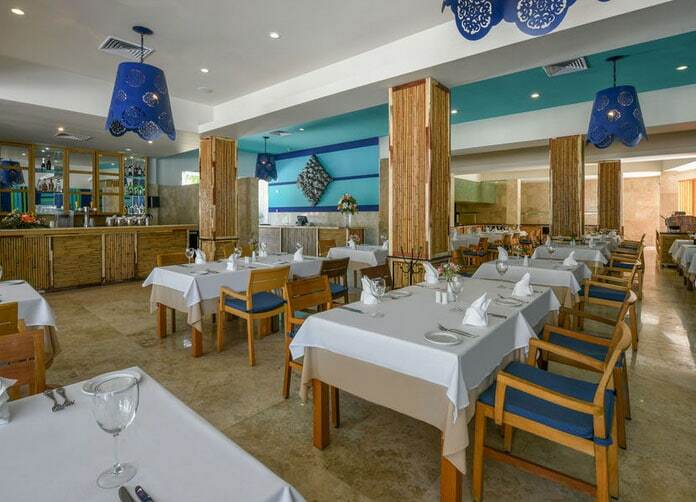 Cafe del Mar: Is right next to the beautiful Playa Norte beach and offers a continental breakfast in the mornings with a large selection of seafood, meat and fish dishes for lunch. Once the sunsets the Cafe del Mar transforms into a lounge bar with music and vibrant atmosphere. 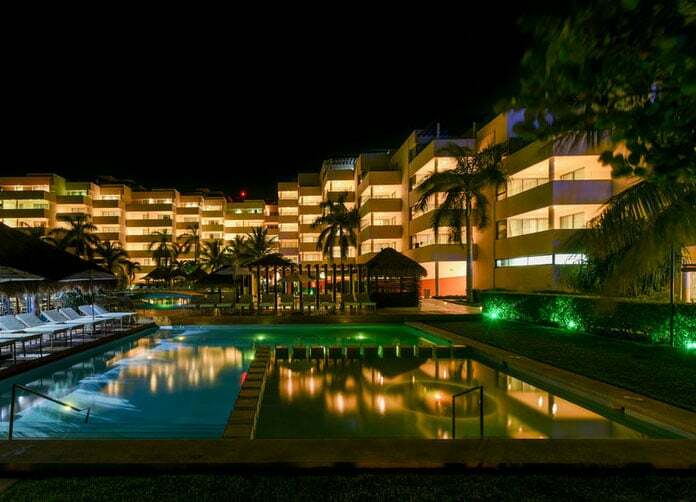 Sabor: Is located on the hotel terrace and provides a great view of the beach. Here Italian, International nd Mexican cuisine is served. A buffet style breakfast is available too. 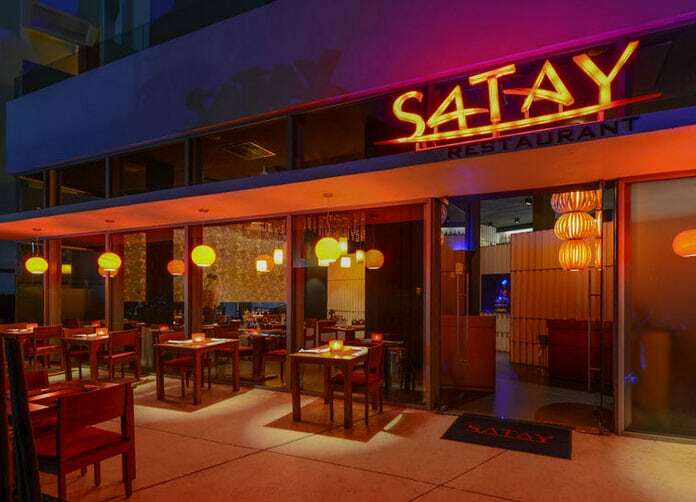 Satay: If you like Asian food then try the Satay restaurant. Exhilarating Asian cuisine with a tropical touch will delight your tastes buds. Pool Bar: Serving snacks as well as ice cold cocktails and both regular and tropical drinks. Address: Av. Adolfo lopez Mateo Smza. 001 Mza. 001 Lot. 005, Centro. Isla Mujeres, Quintana Roo.